SPACE for Gosforth wholeheartedly supports the aims of the project and looks forward to the project being extended to other communities across the City. The Jesmond proposals include proposals for High West Jesmond and as this is the area closest to Gosforth we will be focussing on these in this article. 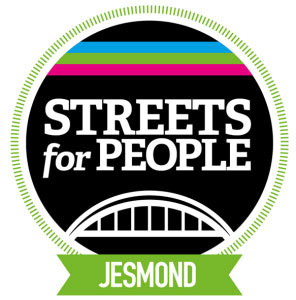 We encourage you to comment on all of the Jesmond proposals which can be found here. 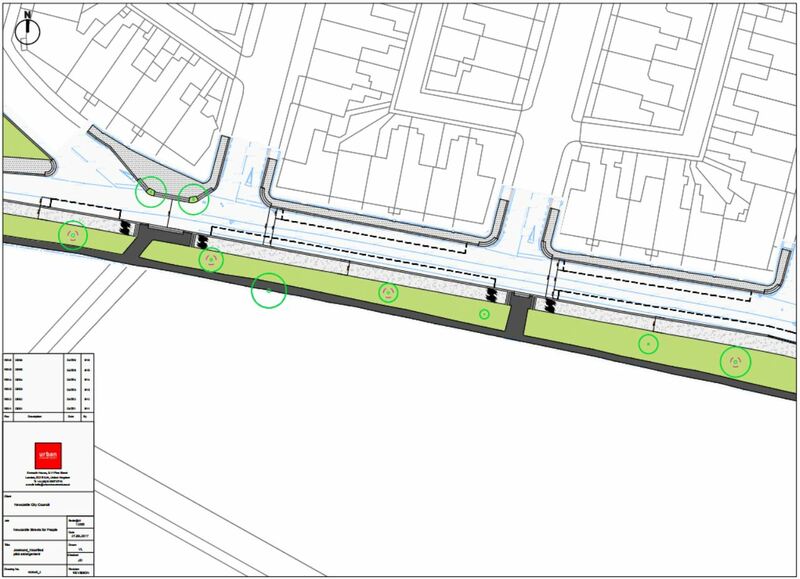 The scheme proposal and needs analysis for Jesmond can be found here. 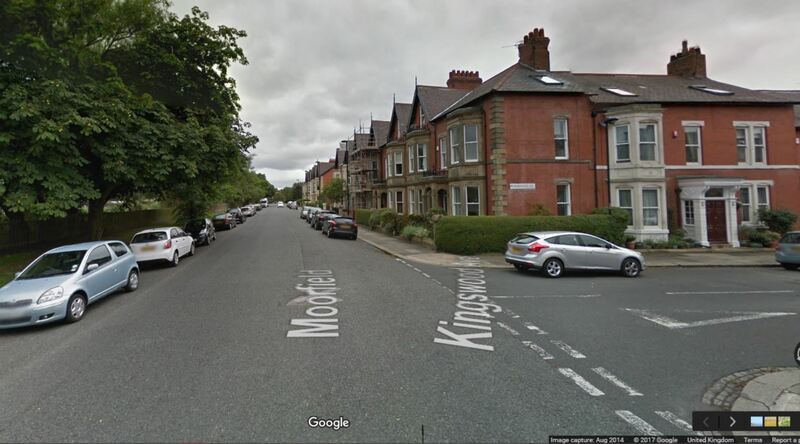 In addition, High West Jesmond Residents Association has shared their views with SPACE on the main issues in the area and particularly on the focus areas of Moorfield and Ilford Road from a recent meeting they held. We will address these concerns at the end of this article. Three plans have been proposed for the High West Jesmond Area. It should be noted that these are the first proposals, opened up to encourage discussion. The junction is a difficult junction to navigate for walking and cycling. The junction has wide turns and no safe crossing points. As we have reported Ilford Road has a poor record for speeding vehicles (Ilford Road is street C) and it’s impact on the community. 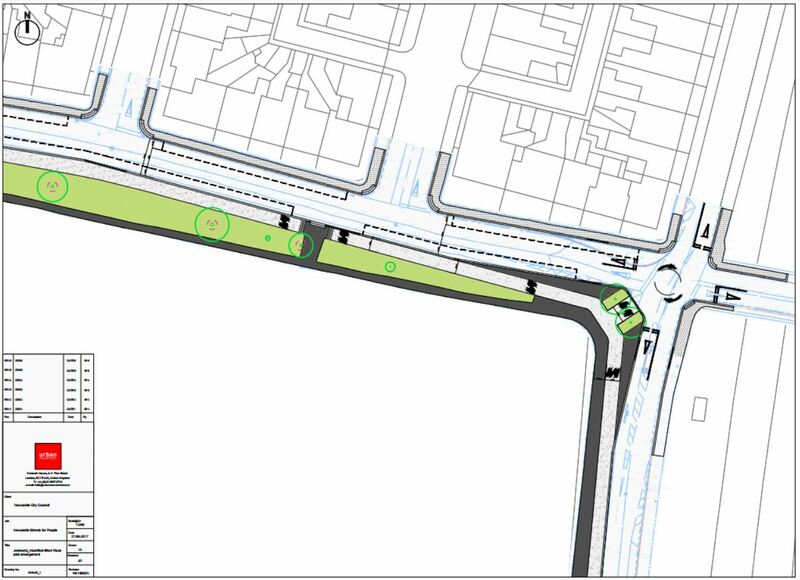 The proposal seeks to re-align the junction by installing a roundabout, tightening the corners (which will slow down vehicles) and adding in a two way cycle lane along Ilford Road South continuing onto Moorfield. When heading south on Ilford Road it will be necessary for people cycling to be aware of traffic coming from behind as well as the other 3 directions. The roundabout does introduce give ways on Ilford Road which should slow down traffic. Currently vehicles on Ilford Road take priority. However, for people cycling to head east on Moorfield from Jesmond Dene Road they are entering the roundabout at an angle which could introduce risk particularly where people arrive at the junction at the same time. The give way lines on East Moorfield have been “set back” which might make it difficult for people to see who is coming along Ilford Road or joining the roundabout from the cycle lanes. In addition, when heading south along Ilford Road cyclists will turn across the roundabout into oncoming traffic to reach the cycle lane to head west. Pedestrian crossing points should be clearly visible at this junction. Heading from the allotments to Moorfield East or Ilford Road leaves a pedestrian isolated between the cycle lane/junction and vehicles. This is a particularly busy pedestrian area for residents and visitors accessing Ilford Road Metro station. SPACE recommends that this junction is given a fresh review to remove the various conflict points and apply greater levels of safety for cycling. Without any other restriction on the volume of through-traffic It currently fails the “Would you let your child cycle across this junction?” test. This is the graph of Moorfield showing west bound traffic on the left and east bound on the right. Eastbound at 8-9am is about 180 vehicles, all of which is likely to be coming from Moor Road South – the main north-south cycle route for Gosforth. 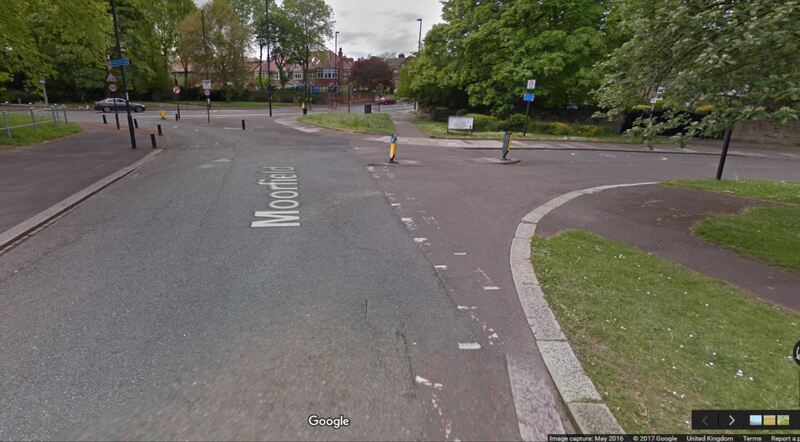 Estimating that approximately half the traffic from Moor Road South turned east at the bottom (and over this counter) and half turned right to join the GNR this suggests 360 vehicles heading south bound between 8-9am at exactly the peak time for people cycling. That’s six cars per minute on Moor Road South potentially trying to overtake you – not what you would want if you were a less confident person or a child cycling to school. SPACE welcomes the relaying of the footpath along the south of Moorfield, it’s in a very poor condition, uneven and bumpy! In addition, the pedestrian crossing points from the Little Moor paths are currently often blocked by parked cars, which the above plan addresses. On Moorfield itself the proposal is for a two way cycle lane along the full length of the street, between the pavement and parked vehicles. This is the safest option for anyone to cycle along removing potential conflict with vehicles and pedestrians. It also helps support an east to west cycle route from Gosforth High Street through to Jesmond Dene Road. 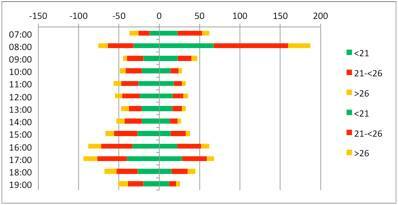 Safety is increased by narrowing the street which will reduce the speed of the vehicles. 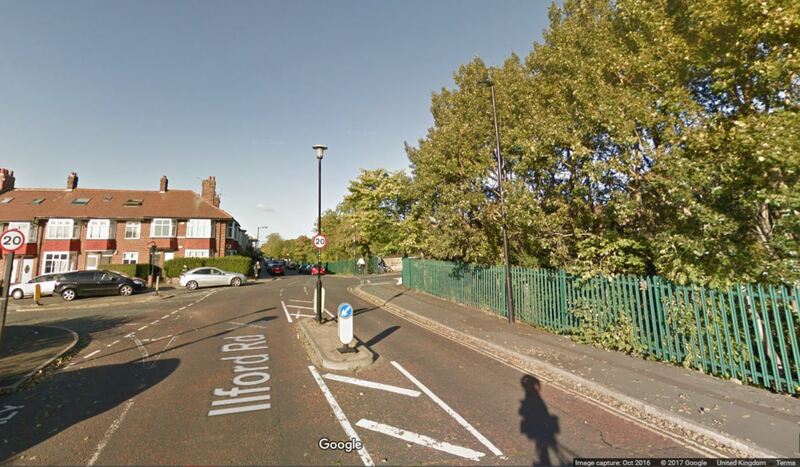 It should be possible to turn from the cycle lane into the residential streets on the north side of Moorfield and vice versa, which needs an entry point and gap in the parking. 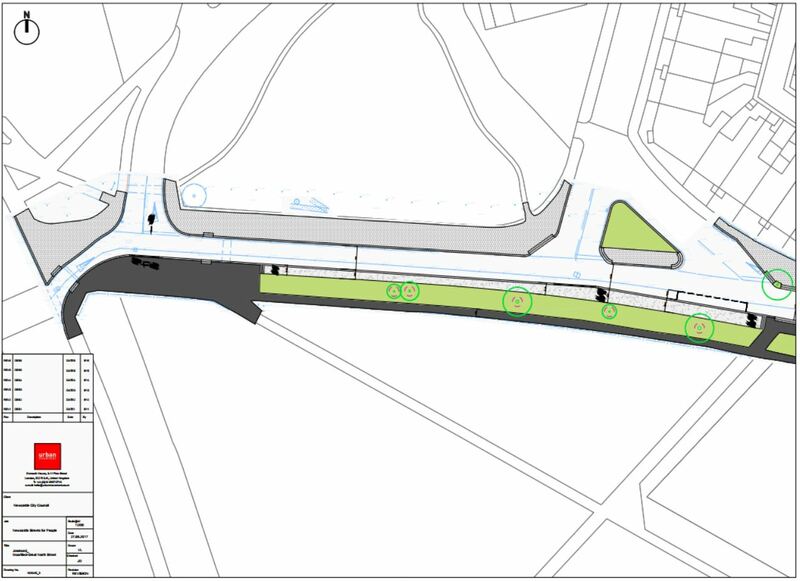 The proposal mis-aligns the entry and exit points to and from the cycle lane. The pedestrian crossings of cycle lanes should be via cycle zebras like the ones implemented on John Dobson Street and not shared space. Dropped kerbs should also be installed at all pedestrian crossing points. The large area of shared space for pedestrians and cyclists should be revised. The cycle lane should continue to join with the Toucan crossing on the High Street. Pedestrians should be provided with zebra crossings as installed on John Dobson Street to remove conflict. We are unsure why the cycle lane reduces from 3m wide to 2m wide along this short stretch. The pedestrian crossing points on Lodore Road are very wide and should be narrowed. Access to Lodore Road should be provided from and to the cycle lane. Maintaining access to Great North Road from Moorfield encourages “rat running” on Moorfield and Moor Road South. If this access was removed, the cycle lane and pavement could separately continue round to the Toucan crossing removing conflict with vehicles and making the area much more comfortable for people. 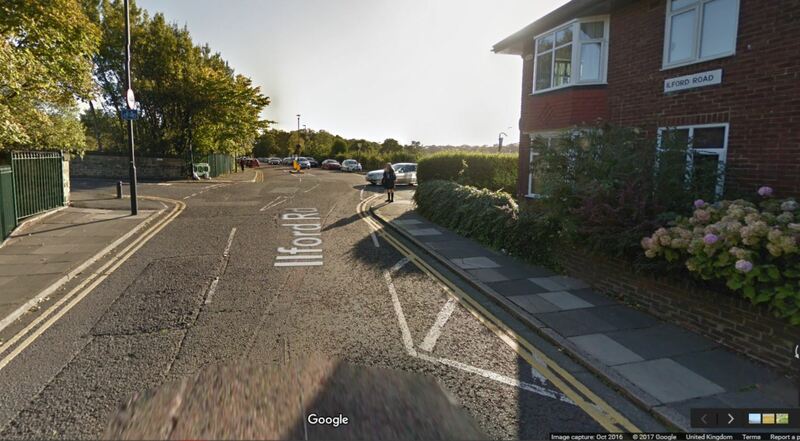 It’s is also likely that with filtered traffic on Moorfield the two way cycle lane would not be needed. “Park and Ride” – Mounting aggravation at the level of people who use local streets (particularly Ilford Road and Moorfield) as a “park and ride “ facility. Ilford Road – Concern that the works that were done a few years ago haven’t worked and that the road is, if anything, more dangerous than it was. 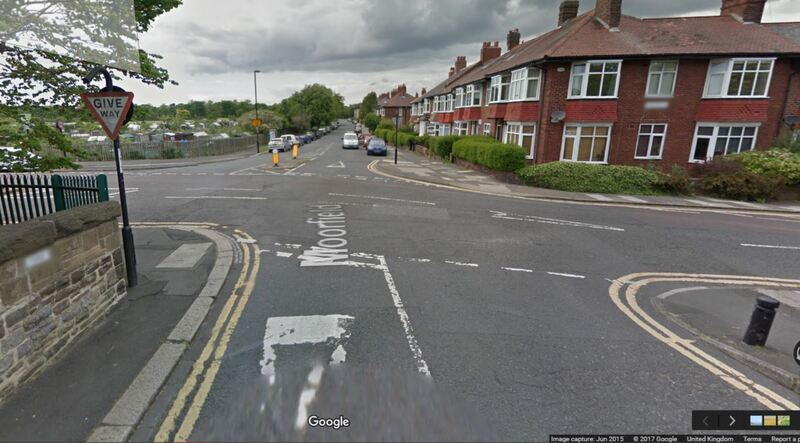 Rat-running – Concern at the level of rat-running on Moorfield and Ilford Road and how this might increase once changes are made at the Blue House roundabout. That said, the majority of residents that attended were not in favour of shutting the junction of Moorfield/Great North Road or closing Ilford Road (though the possibility of a trial at Moorfield/Great North Road during Blue House roundabout roadworks was discussed). There is also no doubt that people are parking up in the residential streets and using Ilford Road Metro, some for several weeks while they head to the airport! The solution would be for the residents to adopt a residents’ parking scheme as we have in other areas of Gosforth. To some extent the proposals from the Streets for People working group address a number of the residents’ concerns. As has been identified in our previous article on mitigating through traffic as an output from the Blue House working group, Moorfield has an average daily total of 1417 vehicles of which 74% exceeded the 20mph speed limit. Ilford Road has an average daily total of 2074 vehicles of which 85% exceeded the 20mph limit. In addition, the traffic calming measures that have been implemented on Ilford Road are not working. This residential street needs reviewing with the potential to revise the traffic calming measures or look into the impact of introducing a no through route. If the Moorfield/Great North Road junction was closed to through traffic it may not be necessary to install the two way cycle lane. As has been previously mentioned Moorfield is particularly busy with speeding vehicles just at the time people will be cycling or walking to work/school. Reducing the volume of vehicles would make Moorfield a much safer and more pleasant environment. Indeed, Public Health England specifically makes a call for filtering on residential streets to encourage active travel and improve public health. As the residents have already discussed there would be the opportunity to trial closing these streets as part of the mitigation for when the Blue House roundabout works are undertaken. In summary, better cycling conditions and the thoughts that the Streets for People working group have put into the plans for High West Jesmond are welcomed. The issues with volume and speeding vehicles on Ilford Road have largely not been addressed. The roundabout and give way points will slow down vehicles but we feel that the current design is insufficient to provide safety to people walking and cycling. The cycle lane should form part of a wider a network, especially when heading east to Jesmond Dene Road and west to Gosforth High Street. 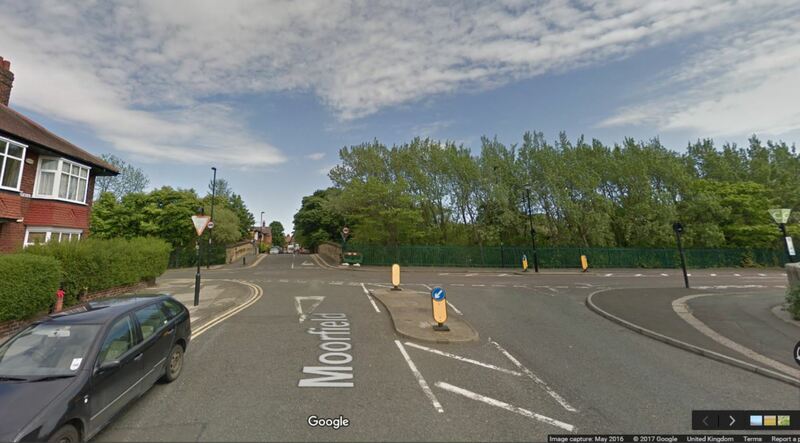 Filtered permeability at the end of Moorfield/Moor Road South would reduce the volume of vehicles on Moorfield and together with some traffic calming measures on Moorfield would make the two way cycle lane on Moorfield redundant. This entry was posted in Uncategorized on November 28, 2017 by SPACE for Gosforth.